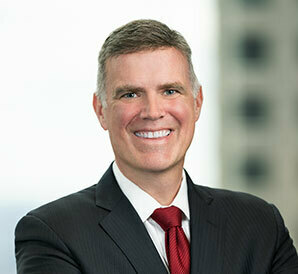 Matt’s practice transcends litigation and transactions. In the course of counseling dozens of motor vehicle, manufacturing, and financial clients, he has served not only as a trial attorney, but also a regulatory advisor, transactional-dealmaker, and strategic counselor. At the onset of engagement, Matt asks the question: “Where do you want to end up?” His client’s answer allows him to formulate and implement a tailor-made strategy that furthers the client’s objectives and protects its interests. Lead attorney in successfully obtaining dismissal of a financial institution defendant from class action involving allegations of consumer fraud and violations of Illinois mortgage law. Matt also successfully defended the dismissal on appeal. Advising, defending, and resolving audit and chargeback disputes, including chargebacks due to instances of fraud, falsification of records, and failure to follow company policy.